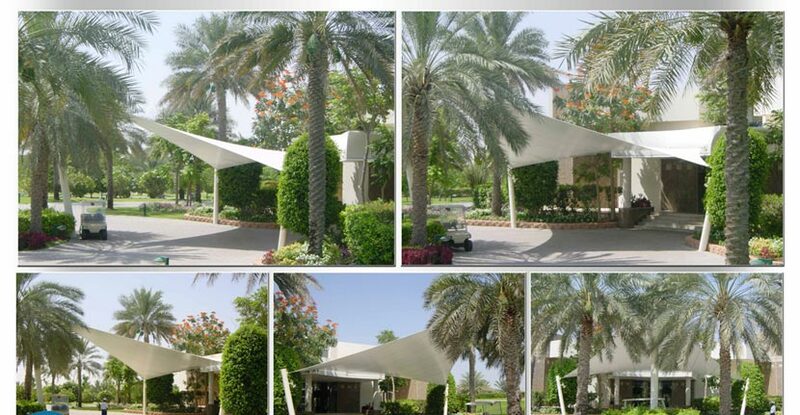 Ocma Emirates has been based in Dubai, United Arab Emirates since 1997, serving the local market with locally designed and manufactured tensile membrane structures in polyester netting, PVC and PVDF coated polyester fabrics. 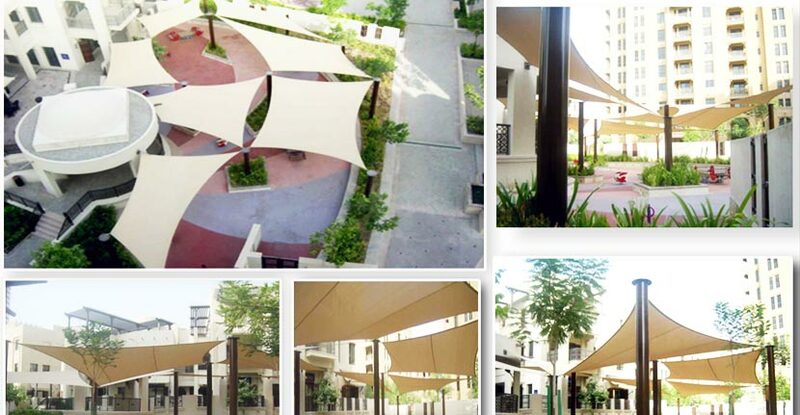 New ideas and creativity in the field of fabric architecture. 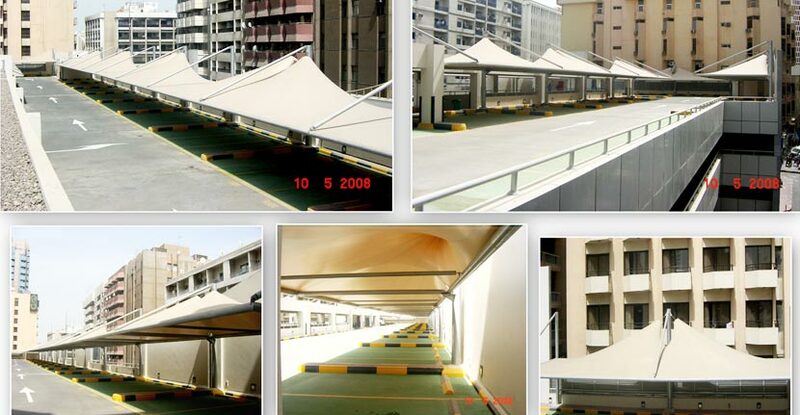 Tensioned membranes can be used to construct roofs, free standing canopy structures, sails and skylights. 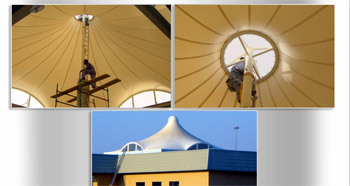 It is the non-linear behavior that makes tensile membrane structures unique and different from conventional buildings. Architects or design engineers can take the advantage of this flexible building material to create new, unusual shapes, while at the same time handling load stresses like gusting winds and live load, just as well as conventional buildings. 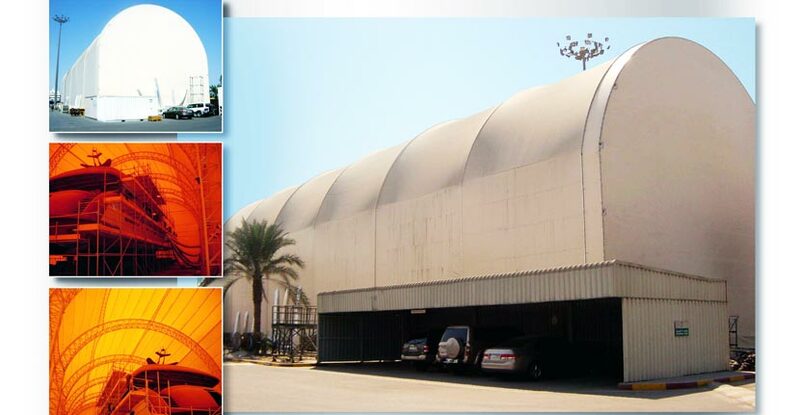 Being the fifth construction material in civil construction and architecture, the tensioned membranes offer a great variety of options and solutions with nearly every desired shape. Tensioned membrane structures offer diffuse interior translucency, yet appear to be opaque when viewed from the exterior during the daytime. During nighttime, artificial interior lighting creates an exterior luminescence, which is a very recognizable feature of tensioned membrane structures.